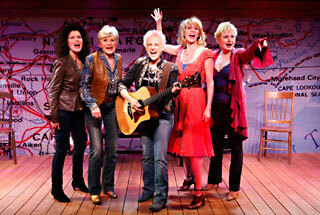 GOOD OL’ GIRLS, a new musical written and adapted by Paul Ferguson, based on the stories of two prominent Southern authors, Lee Smith (The Last Girls) and Jill McCorkle (Going Away Shoes), with songs by Nashville hit-makers Matraca Berg (Reba McEntire, Dixie Chicks, Faith Hill) and Marshall Chapman (Jimmy Buffett, Wynonna, Olivia Newton-John) opened at the Black Box Theatre at The Harold and Miriam Steinberg Center for Theatre (111 West 46th Street between 6th and 7th Avenues) on Sunday, February 14, 2010 and finished its extraordinary limited engagement to sold out audiences on April 11, 2010. 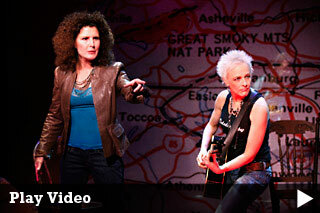 Directed by Randal Myler (It Ain’t Nothin’ But The Blues; Hank Williams: The Lost Highway; Love, Janis), GOOD OL’ GIRLS featured Lauren Kennedy (Spamalot), Sally Mayes (She Loves Me), Teri Ralston (Company), Gina Stewart (“Dawson’s Creek”), and Liza Vann (Machiavelli), and was produced by Ken Denison for White Sand Entertainment. Two of Nashville’s leading singer/songwriters redefine the modern Southern woman in GOOD OL’ GIRLS, a musical about love, loss and laughter. 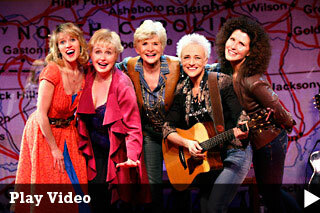 Through the language of five unique southerners, GOOD OL’ GIRLS celebrates childhood through old age with big hair and bigger hearts. Great music. Fabulous stories. There's a Good Ol' Girl in all of us. Let yours out.